Sending spring festival greetings to Chinese fans is customary, but when the NBA did it this year, it generated an explosive debate. In addition to NBA All-Star players Giannis Antetokounmpo, Damian Lillard and Klay Thompson, the appearance of 20-year-old Chinese pop singer Cai Xukun in the 30-second promotional video released on January 18 shocked fans who slammed the move, dunking it in vitriolic criticism. Titled NBA's first Chinese New Year Celebration Brand Ambassador, Cai, with his slim and feminine image, did not sit well with the muscular NBA athletes. Fans found it hard to accept him with their favorite sinewy sportsmen. Comments spelled out the fury, "The spring festival of NBA fans does not welcome him." "NBA should apologize to its previous ambassadors Yao Ming and Kobe Bryant!" In a poll on famous Chinese basketball portal Hupu, 82.9 percent of over 40,000 netizens ticked "I would rather die" in response to Cai being named as an NBA ambassador. 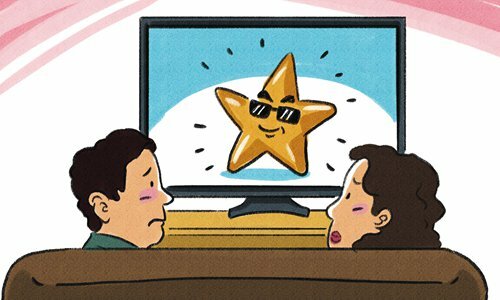 The media and entertainment industry in China has witnessed a somewhat quirky phenomenon in recent years. A Chinese buzzword "liuliang"- literally meaning traffic or flow - which can be interpreted as denoting the size of fan base and commercial value, has come to define the times. It points to the tendency of tinsel to beat talent, skills and good production values. Liuliang stars are glamorous actors and singers who have not many professional skills to boast off yet can command countless fans with great business value probably owing to their good looks. Cai has over 20 million followers on Chinese social media platform Sina Weibo. One of his posts, a piece of his own MV, last August, was reposted by fans more than 100 million times. In the view of many fans, NBA's choice of its ambassador has been driven by the singer's influence, even though the performer and the NBA do not go together. But in the glitzy world of stardom, this is not at all uncommon. A number of movie and TV drama production teams are paying more attention to commercial value while ignoring good screenplays and production quality. As long as a star is commercially viable, numerous opportunities come calling and remuneration rates go through the sky regardless of acting skills. Meanwhile, good actors and actresses with fewer fans are cast aside. As a result, in spite of stellar growth of the industry for the past few years, there have scarcely been masterpieces. Gratifyingly, since 2018, an encouraging sign has been seen: The liuliang effect has started to wane. Poorly produced movies and dramas have begun to give way to truly quality production, and many excellent artists have been discovered and recognized. In 2018, several movies without a single liuliang star won both word-of-mouth and box office acclaim, such as Dying to Survive and A Cool Fish. Some even cast unknown faces from the new generation. In contrast, a great many film and television work starring popular names was routed. The widespread dissatisfaction with Cai's new title is probably a proof of the trend. Be as it may, there is no need for the public to overreact. As the Chinese New Year Celebration Brand Ambassador, Cai's title is only valid during the festival for around a month. It is understandable that NBA wanted to attract viewers after the sharp drop in audience rating due to the renowned athlete LeBron James' transfer to the West. As a marketing strategy, Cai's appearance has indeed made a difference. His massive fans, mostly young women and girls, have expressed willingness to know more about NBA on account of their idol. This will at least do no harm to both NBA and the sport. All in all, liuliang should be neither made a fetish of, nor lost faith in. As long as an entertainer has the ability, audiences are happy to see him or her appear in front of the public, no matter how many fans and how much influence they have.